Tavarua Island, Fiji, (November 13th, 2018) – The famous Fijian island known for its unique heart shape, lush flora and world-famous surfing has been passionately and meticulously cared for by residents, local communities (natives), and visitors alike, in an effort to preserve and rehabilitate its reef ecosystem. Throughout the last six years, the island has culturally— but not officially— upheld a “Tabu”, an absolute ban on fishing in the reef system surrounding the island put in place by native villages that own the fishing rights to the reefs. 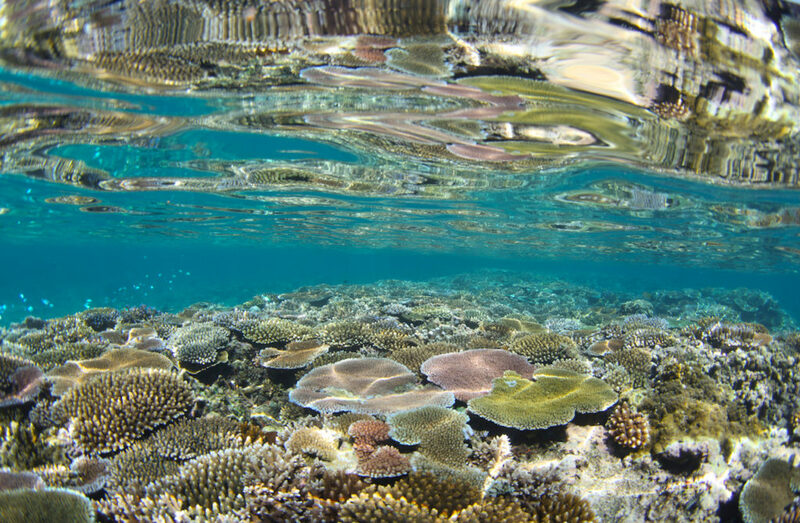 The people of Tavarua Island are hoping to officially obtain protections to preserve its unique habitats, species, and ecological processes by establishing the island as a Marine Protected Area. 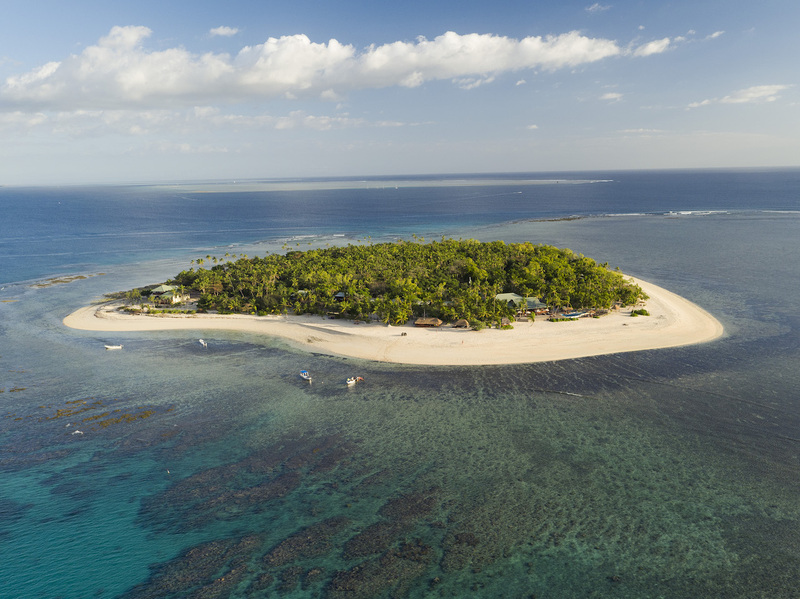 International non-profit Mission Blue has declared Tavarua Island a Hope Spot in support of the Fijian Government’s goals of protecting the reef systems, and allowing for the continuance of successful coral reef ecotourism and research for generations to come. Through education and co-operation with local villages, Tavarua Island has managed to encourage the culturally respected fishing ban for six years with a commitment for continuation indefinitely. The Hope Spot declaration has full support of the community, with the Department of Fisheries deputizing local citizens and staff members as Fishing Wardens, with authority to protect the area. 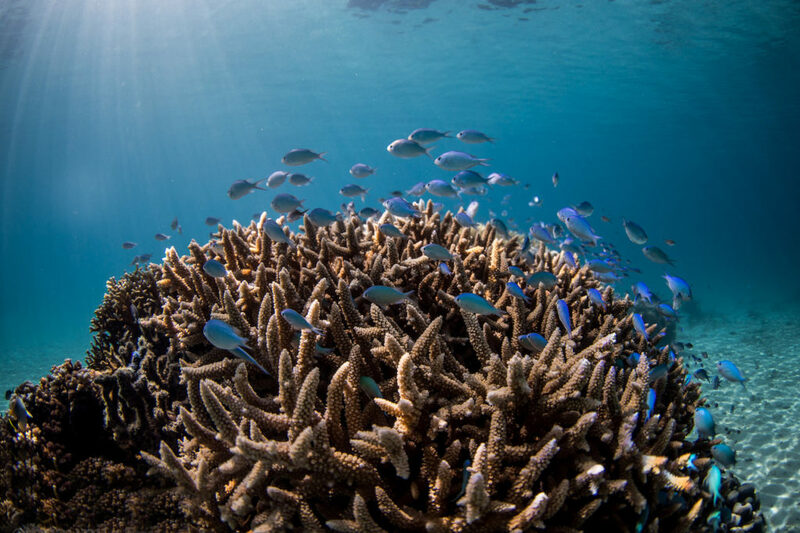 The “Tabu” has successfully helped symbiotic species to thrive and has created a safe haven to repopulate surrounding reefs, including the Navula-Malolo Reef grouping as well as local mangrove colonies. Tavarua Island Resort’s current project is an example of a miraculous success story. In working with the Fijian Department of Fisheries in an effort to assist the depleted population of giant clams, they currently nurture hundreds of juvenile Tridacna gigas and T. maxima species in on-shore tanks for successful reintroduction to its natural habitat. In the surrounding reef, mature and reproductive specimen are studied and monitored. 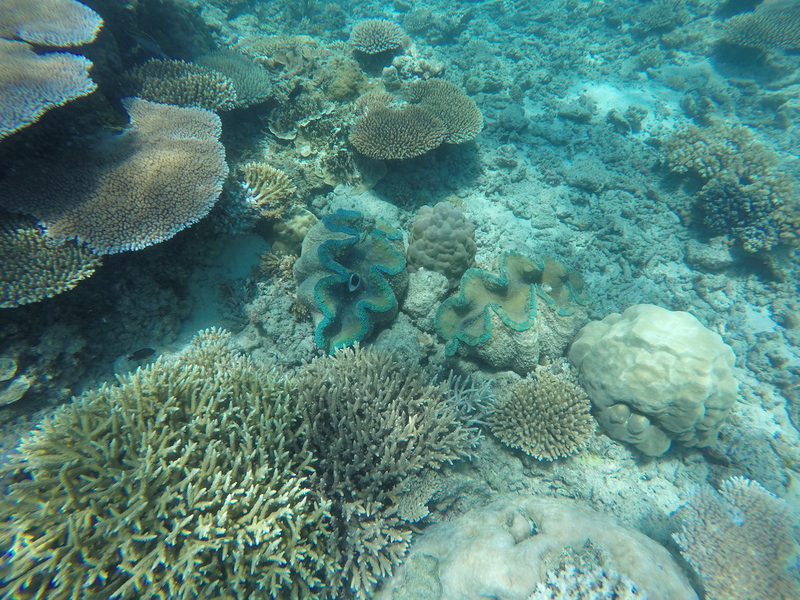 There are currently seven varieties of Tridacna giant clams that are thriving in Tavarua Island’s waters, thanks to these rehabilitation efforts. Fiji as a country is uniquely rich in its marine ecoregion due to its remote location and shallow tropical marine habitats. 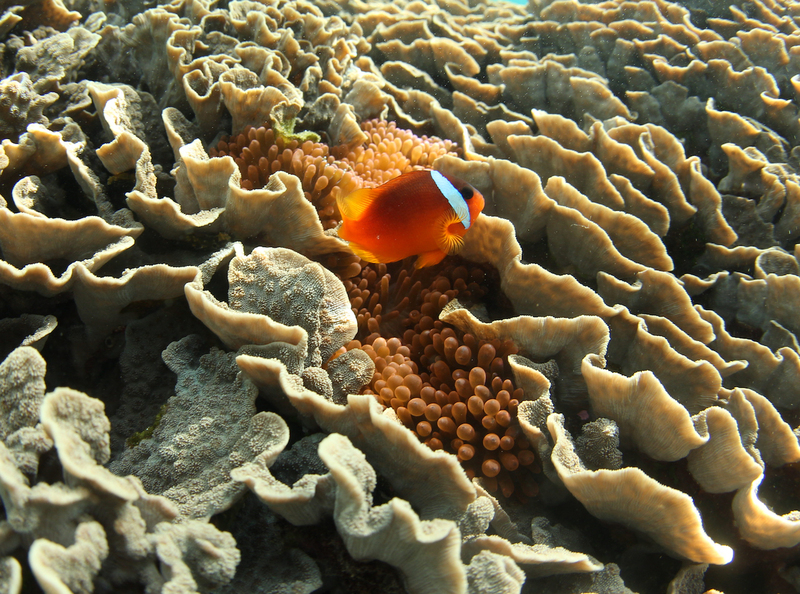 Tavarua Island hosts a thriving range of this unique marine Flora and Fauna from soft corals to the banded sea snake (Laticauda Colubrina), containing more than one third of the worlds coral species as well as one third of the Indo Pacific’s Coral Reef Fish. Right off the shores live a plethora of invertebrates, a range of pelagic fish, multiple varieties of sharks and the occasional migrating whale. 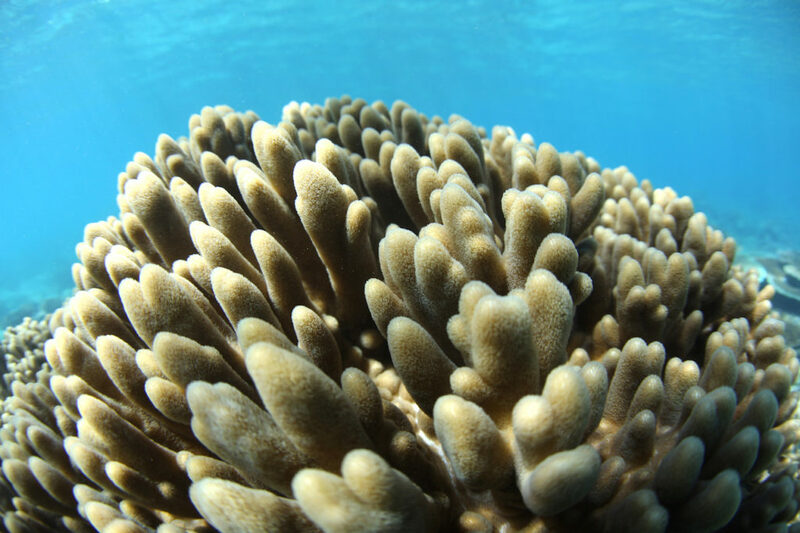 Other species found off the shores of the island are delicate sponges, tropical reef fish, gastropods, bivalves, and sea turtles all find protection in these protected waters. Many of these species are endangered or are on the IUCN (International Union for Conservation of Nature) Red-List. Tavarua Island also sees highly migratory fish including yellowfin, skipjack, albacore, big eye and Bluefin tuna, several shark species and spinner dolphins. The island’s beaches themselves are notable nesting sites for three endangered sea turtles including the green sea turtle, hawksbill and the leatherback sea turtle. Additional species frequenting the waters of Tavarua include the Giant Grouper, Brown Marbled grouper, leopard coral grouper, Humphead Maori Wrase, and tawny nurse sharks. Tavarua Island Resort, in conjunction with its staff and guests, continues to lead through action with ongoing sustainable business practices and environmental awareness. These efforts have maintained the position as one of the world’s premiere surf and water sports resorts, creating a positive influence on the immediate environment, and communities’ cultural heritage. With the establishment of a marine protected area, the island will be positioned and equipped to become a leader in policy development for sustainable tourism practices, preserve and protect the unique island terrestrial and marine habitats, coral reef species, and ecological processes present on and around the island, to educate the local and global community about effective coral reef conservation, and to preserve the traditional knowledge and cultural heritage unique to Fiji. 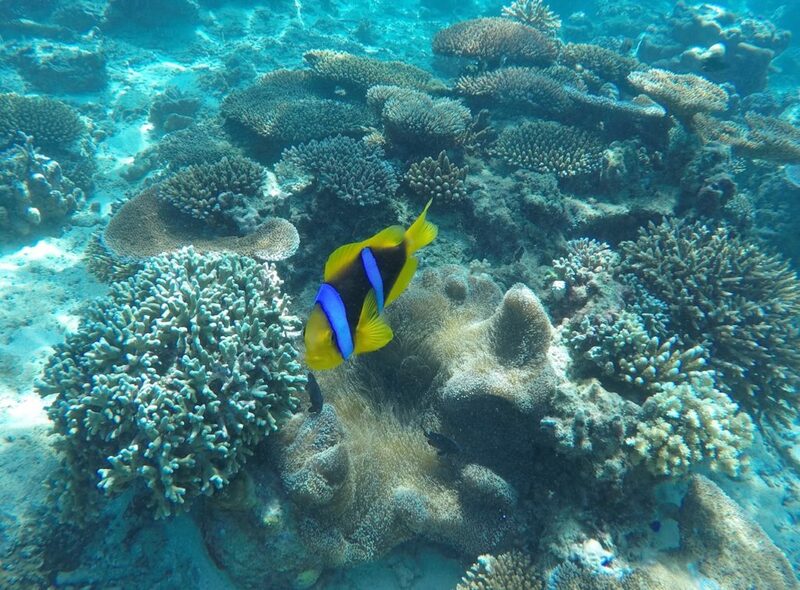 “The establishment of an official Marine Protected Area will contribute and attract additional scientific research, education and development that is imperative to the future support and furthered success of Tavarua, it’s neighboring villages, and Fiji as a whole”, explains Isbell. Founded in 1982, Tavarua Island Resort is a world-renowned surfing destination that has created a huge following amongst the surf community. Tavarua Island Resort hosts surf competitions that are broadcasted worldwide, and have accommodated influential guests and a steady flow of tourists from across the globe year round.